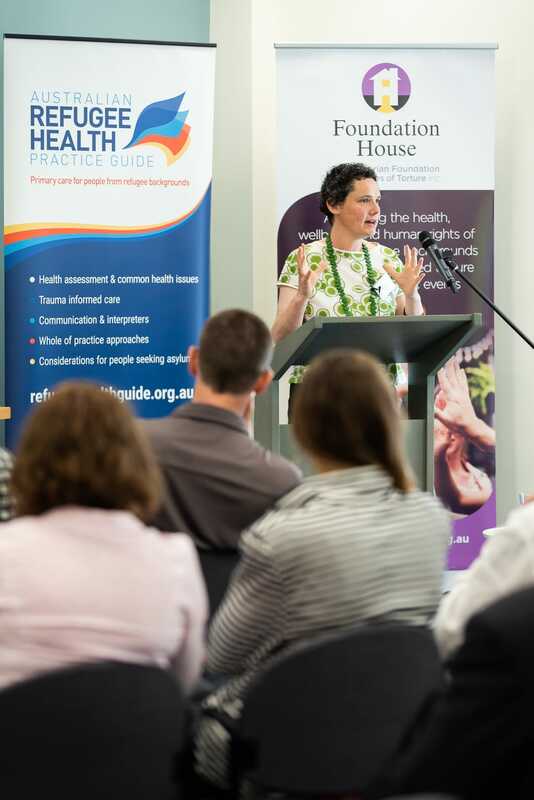 The Australian Refugee Health Practice Guide was launched on 1 November 2018 by Foundation House CEO Paris Aristotle AO and Dr Kate Walker at an event at our Brunswick office. 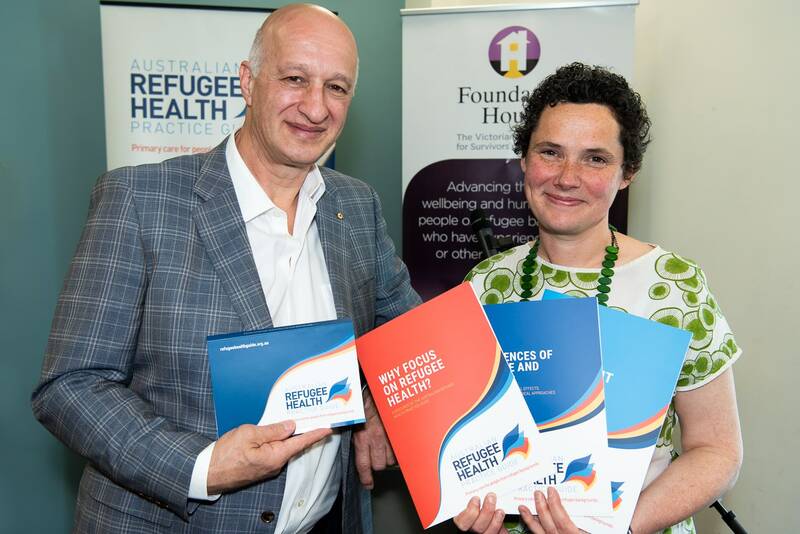 The Australian Refugee Health Practice Guide aims to support doctors, nurses and other primary care providers to deliver comprehensive on-arrival and ongoing care for people from refugee backgrounds, including people seeking asylum. • Desktop guide encompassing approaches to patient care, common health concerns for all ages and care for specific population groups such as children or older people. The 2018 update of the Guide was conducted by Foundation House in collaboration with general practitioners, refugee health nurses, practice nurses, specialists and Primary Health Network staff. The Guide was produced by Foundation House in consultation with the Forum of Australian Services for Survivors of Torture and Trauma (FASSTT) and the Refugee Health Network of Australia (RHeaNA) with funds from the Australian Government Department of Health.